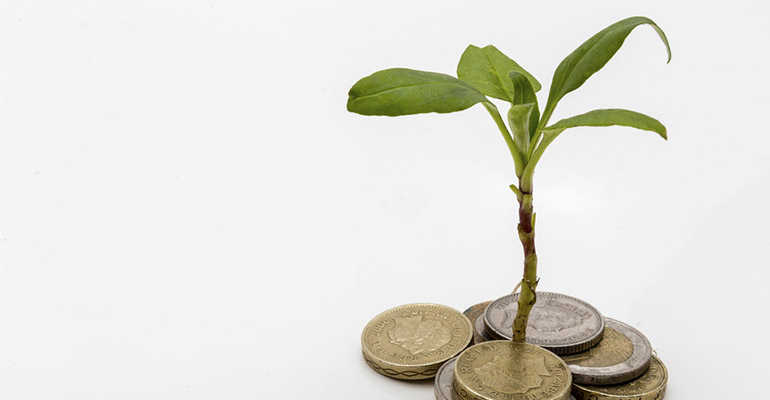 With Australian governments supporting the development of impact investing funding options they will no doubt evolve and adapt in form, writes director of the Centre for Social Impact Professor Paul Flatau. Impact investing is becoming an increasingly prominent feature of the Australian social program funding landscapes, providing a new source of funding to support community services to better address their clients’ needs. So much so, that at this year’s Australian Social Impact Festival in Perth we’ve included an entire session dedicated to the topic. In particular, the session will explore the rapidly evolving Australian landscape on social impact bonds and their role in financing sustainable impact. Finding innovative ways to fund social outcomes is increasingly important as government grant funding and other traditional sources of income for social programs such as individual, corporate and foundation-based philanthropy are currently below levels they need to be to effectively address Australia’s most pressing social problems. For example, from our own recent research we know that 85 per cent of funding for homelessness services comes from government and that most homelessness services are unable to meet client need. Obviously one response to this gap between funding and demand is to increase existing sources of funding. Another is to add to the existing set of funding responses. Impact investing is one such response, and it comes with benefits: It provides space for innovative approaches to social problems and encourages organisations to think laterally. It is also inherently outcomes-focused and therefore provides an incentive to performance and an impetus for better measurement and accountability around the achievement of outcomes. These investment vehicles are typically results based and require robust data, measurement and impact evaluation on the outcomes of programs and their associated economic impact. Impact investment requires financiers, impact evaluation specialists, and, of course, social program executives and policy makers to be engaged both at the stage of designing and preparing impact investments, as well as making investments. Bringing all parties into the room can be conducive to deep social innovation. Impact investing can provide a tangible contribution to social impact with the potential for significant, long-term positive impact. The main challenge presented by impact investment is the high transaction and setup costs, particularly in a nascent market. Negotiations around Social Impact Bonds are complex and time-consuming. As the market develops we would expect such costs to fall and greater transparency around negotiations to develop. Due to these challenges, it is more likely that larger agencies will benefit from impact investing activity than smaller agencies. There is also the issue of substitution: if SIBs simply replace existing government funding then we gain money in terms of innovation and lose funding for traditional service delivery. Impact investing can foster innovation and assist in cultivating a broader social impact culture. However, SIBs are not a blanket solution; they work best when a project or program is suited to performance-based funding, social purpose organisations need up-front capital to implement the program and hurdle social impact rates for success payments are sufficiently high to engender and maintain high levels of innovation and effort. It is important that governments, social purpose organisations, and investors take a case-by-case approach to considering impact investing as a viable funding approach. With Australian governments supporting the development of impact investing funding options they will be more prominent in the immediate future than in the past and without doubt will evolve and adapt in form. And that means we need more debate and policy scrutiny and engagement around the issue. The 2017 Social Impact Festival session on Impact Investing is on 19 July and will be led by Jeremy King, chairman of Corrs’ Pro Bono and Community program and Lawyers Weekly Pro Bono Partner of the Year. The session will feature an expert panel in advising, developing, evaluating, or researching social impact bonds in Australia and the UK including Emma Tomkinson (creator of Social Impact Bond Knowledge Box), Jenna Palumbo (NSW Premier and Cabinet), Professor Kristy Muir (CEO CSI), and Catherine Harris (Sacred Heart Mission). The Social Impact Festival is on from 18 to 28 July at the UWA Business School and at numerous venues around Perth. Explore the program online. 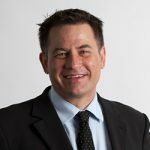 About the author: Professor Paul Flatau is the chair in Social Investment and Impact and director of the Centre for Social Impact at the UWA Business School. He commenced at the Centre for Social Impact at the UWA Business School in December 2010 and was formerly the director of the Australian Housing and Urban Research Institute WA Research Centre. Flatau has more than 60 publications in the fields of economics and social policy and has an excellent track record in applying for and winning external national competitive research grants and industry/government grants and consultancies (more than 25 external competitive research grants or consultancies over the last 15 years). Flatau holds a PhD in Economics from Murdoch University, an M.Ec. from UWA and a B.Ec. from Sydney University. Professor Paul Flatau is the Chair in Social Investment and Impact and Director of the Centre for Social Impact at the UWA Business School.